India’s IT czars haven’t only made a name for themselves in their home country, but are also winning accolades abroad. 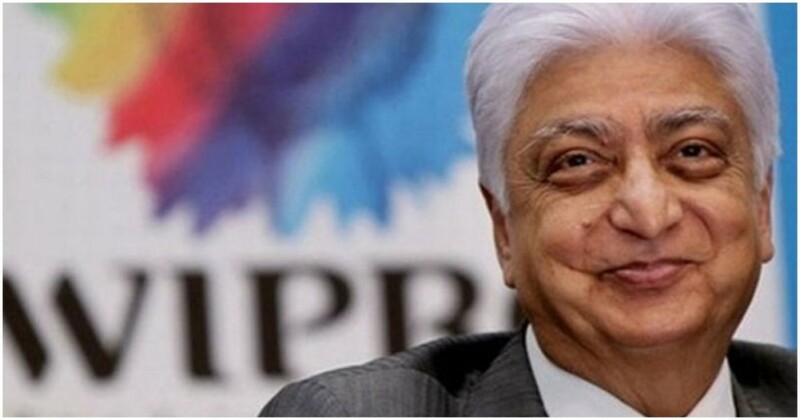 Wipro founder and Chairman Azim Premji has been awarded the Chevalier de la Legion d’Honneur (Knight of the Legion of Honour), the highest civilian distinction in France. The award was instituted by Napoleon Bonaparte in 1802, and is given by the French Republic for outstanding service to France, regardless of the nationality of the recipients. “The award was bestowed on Azim Premji for his outstanding contribution to developing the information technology industry in India, his economic outreach in France, and his laudable contribution to society as a philanthropist through the Azim Premji Foundation,” said Alexandre Ziegler, Ambassador of France to India, who presented Premji with the award. Wipro has had a presence in France for over 15 years, and 65% of its employees in the country are local French people. “I am extremely honored by the award bestowed on me. The vibrancy of the French democracy and its diversity is an inspiration to all across the world,” Premji said while accepting the honour. Fellow IT founder Narayana Murthy had been given the same award in 2008, and other Indian recipients include JRD Tata, and Bollywood actors Shah Rukh Khan and Amitabh Bachchan. Azim Premji had transformed Wipro from a cooking oil brand run by his father into one of India’s largest IT companies. When he was 21 and studying at Stanford, Premji had returned to India following his father’s death. Premji had then diversified the company into producing bakery fats, ethnic ingredient based toiletries, hair care soaps, baby toiletries, lighting products, and hydraulic cylinders. But in the 1980s, he had recognized the importance of the emerging IT field, changed the company name to Wipro and entered the high-technology sector by manufacturing minicomputers. Wipro today earns revenues of $8 billion (Rs. 56,000 crore), employs over 1,50,000 people, and has made Premji one of the wealthiest men in India. Premji, though, had become the first Indian to sign the Giving Pledge, a campaign led by Bill Gates and Warren Buffet which urges billionaires to give away their riches to charity. By 2013, Premji had given away 25% of his wealth to charitable causes. In 2015, he gave up another stake in Wipro, meaning he’s now given away 39% of his wealth to philanthropic causes.